Baterijsko držalo MeiKe BG-E5 se lahko napaja z eno ali dvema LP-E5 baterijama, kar Vam zagotavlja še enkrat daljši čas fotografiranja. Prav tako pa je v paket vključen tudi adapter za uporabo 6 AA navadnih ali polnilnih baterij. 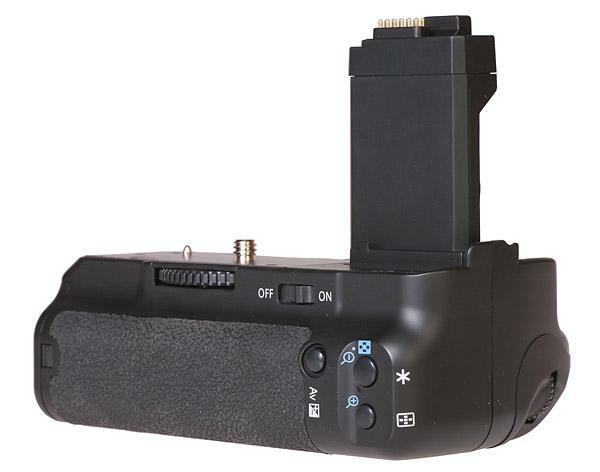 Meike BG-E5 is a high quality battery grip for Canon 450D, 500D and 1000D. 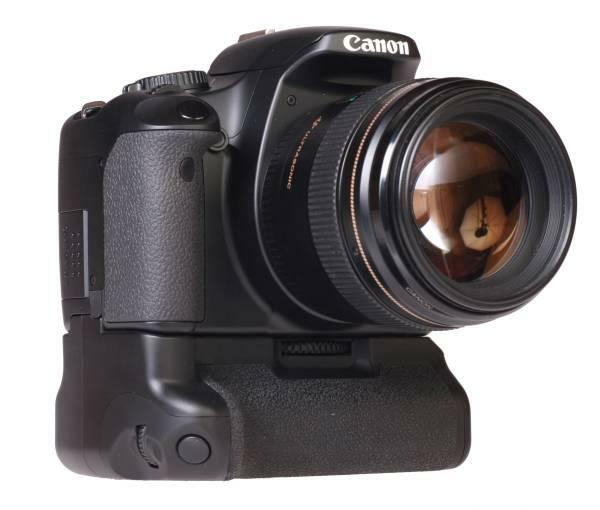 It is a perfect substitute for Canon's BG-E5. It features all functions of the original BG-E5, it can be powered by one or two LP-E5 batteries and this can prolongue camera's battery life up to two times. The two batteries can be made by different manufacturers or have different power levels. The camera will first use up one battery and then the other. 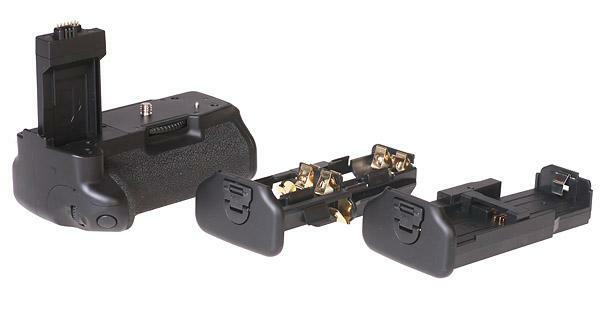 In a set you will also receive a special adapter which enables you to use the battery grip with 6 AA (mignon) type batteries.